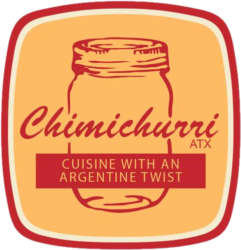 Chimichurri ATX is locally owned and is located in Manor, Texas. We deliver to most of the Austin Metro area including Austin, Pflugerville, Round Rock, Cedar Park, if you would like us to go further, let us know and we can acommodate according to your needs. We also do on-site catering services and on the weekends, you can find us in regional wineries and breweries including Santamaría Cellars on Saturdays located in Fredericksburg and El Gaucho Winery on Sundays located in Spicewood and other locations. For immediate service give us a call (512)496-7054 and (512)287-0089 (Hablamos Español).